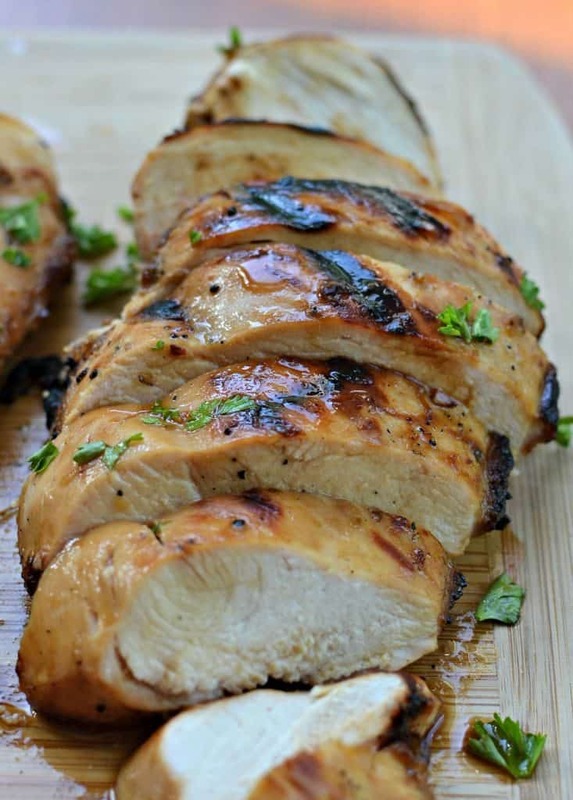 Grilled Marinated Chicken is the perfect spring and summer recipe. The chicken marinates anywhere from two hours to overnight and is tender, flavorful and moist every time. Summer would not be complete without grilling season and this is the best Grilled Marinated Chicken Recipe. It is easy, delicious and dependable. The chicken turns out so incredibly juicy that it just melts in your mouth. This is a frequent flyer at our house because chicken is inexpensive, easy to cook and an awesome source of protein. 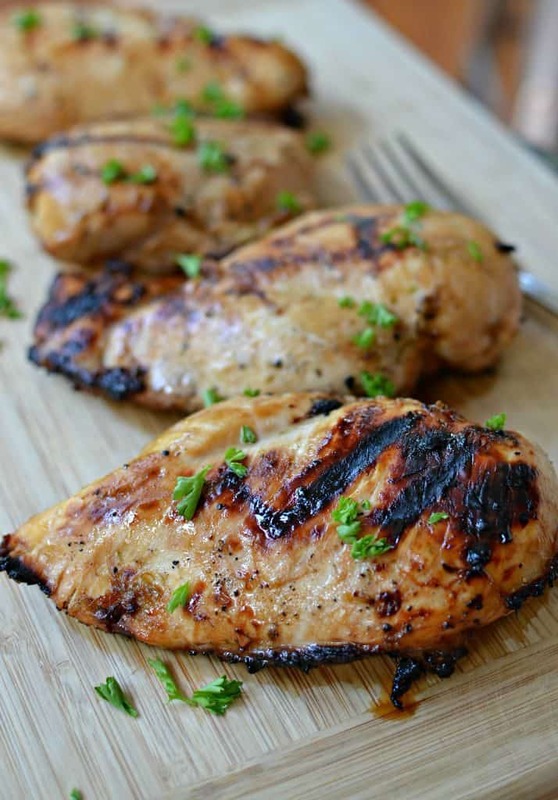 Here are some helpful hints on grilling this and other marinated chicken recipes. Use a large Ziploc bag for the marinade and the chicken. The chicken is easy to move around and it can be flipped over if there is not quite enough marinade to cover everything. Grill the chicken over medium heat. Too high and the outside gets dry and crispy and inside is not cooked fully. Use a small poultry or instant read thermometer. Once the internal temperature is 165 degrees remove from the grill, cover loosely with aluminum foil and allow to rest for 10-15 minutes. Remove 1/2 cup of the marinade before adding chicken to the bag to baste with. Chicken has got to be the most versatile meat on the planet. It is a staple around here. I am betting it is at your house too so here are some more terrific chicken recipes. Summer is here in all her glory. 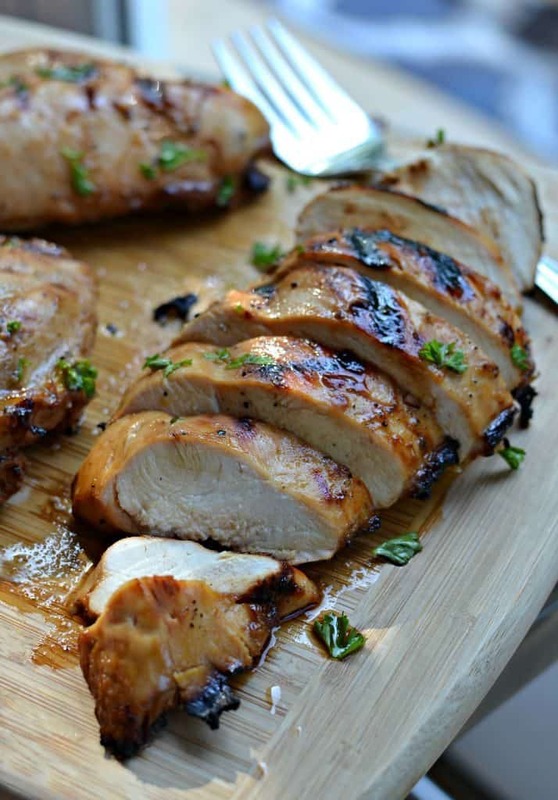 Break out the grill and fix you and yours this amazing Grilled Marinated Chicken. Can you imagine this with a nice fresh garden salad, baked potato and corn on the cob? My food loving friends it just does not get much better than this! In large Ziploc bag mix together olive oil, red wine vinegar, soy sauce, Worcestershire Sauce, Dijon Mustard, brown sugar, garlic, lime juice and lime zest. Remove 1/2 cup of marinade for basting. Store reserved marinade in airtight container in the refrigerator. Add chicken and marinate for 2 hours to overnight in the refrigerator. Preheat grill to medium high or about 375 degrees. Remove chicken breats from bag with tongs and place on grill. Grill 5-7 minutes depending on size of chicken breasts; basting several times. Flip and grill another 5-7 minutes or until an internal temperature of 165 degrees; basting several times. 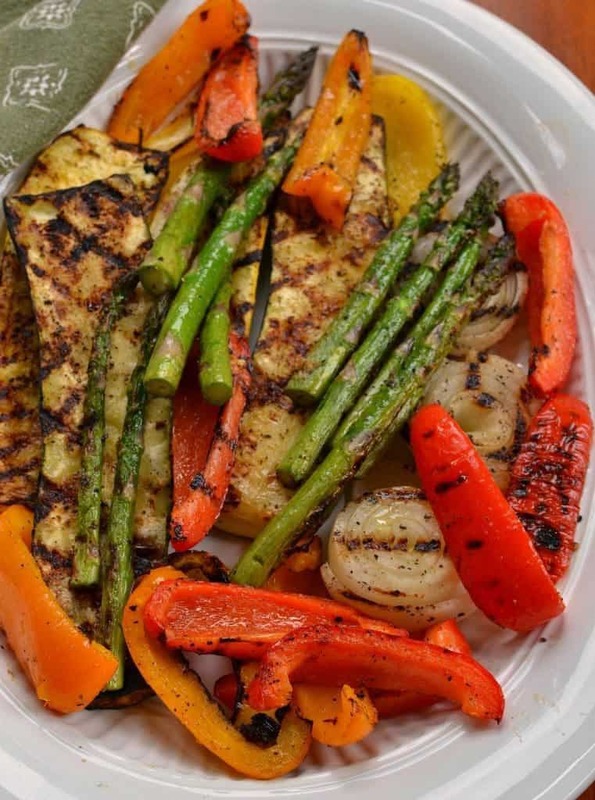 Remove from grill place on serving platter and cover loosely with aluminum foil. Allow to rest for 10 minutes. Sprinkle with fresh parsley and serve. 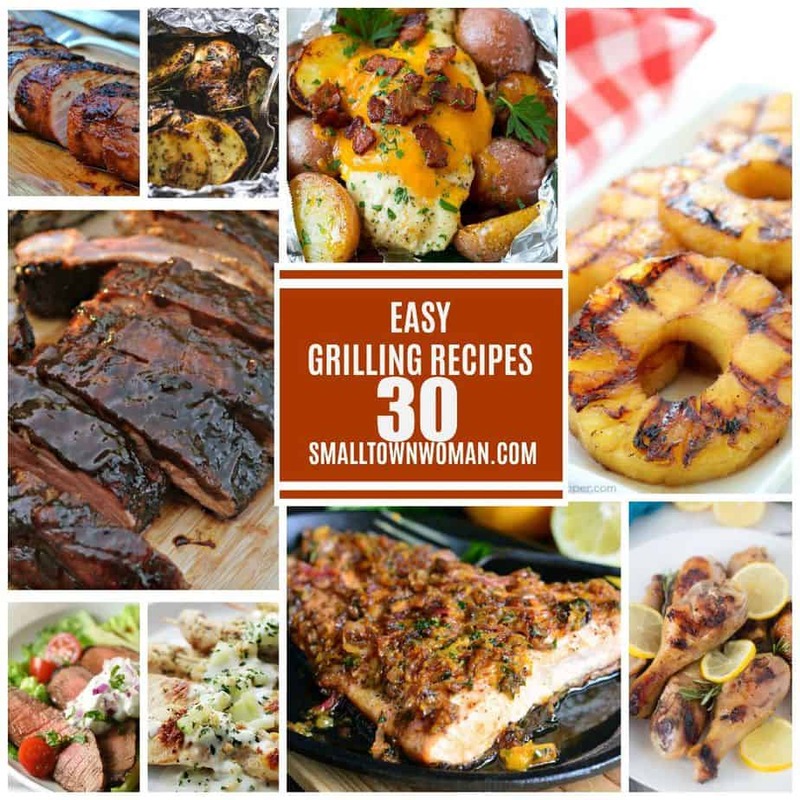 Other grill recipes you will love! !